In the previous tutorial, I built the interface for displaying all the questions. 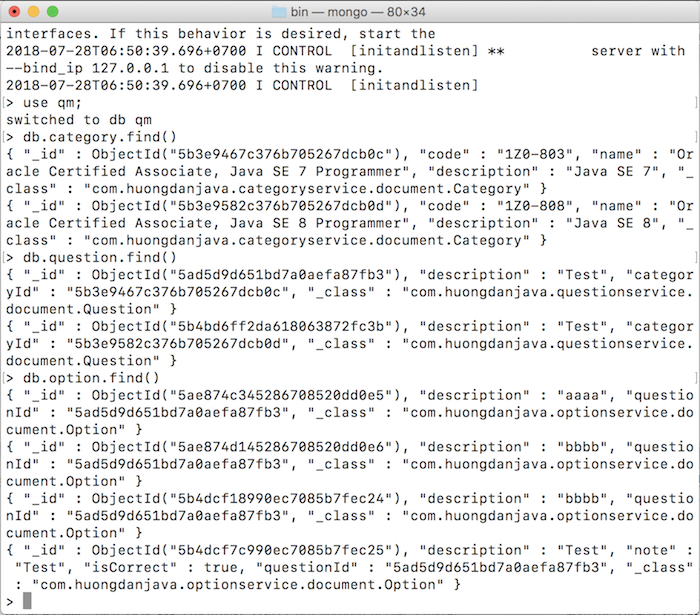 Now is the time to call the API of the API Question Service to perform some manipulations on the question. The first would be to display all the questions. 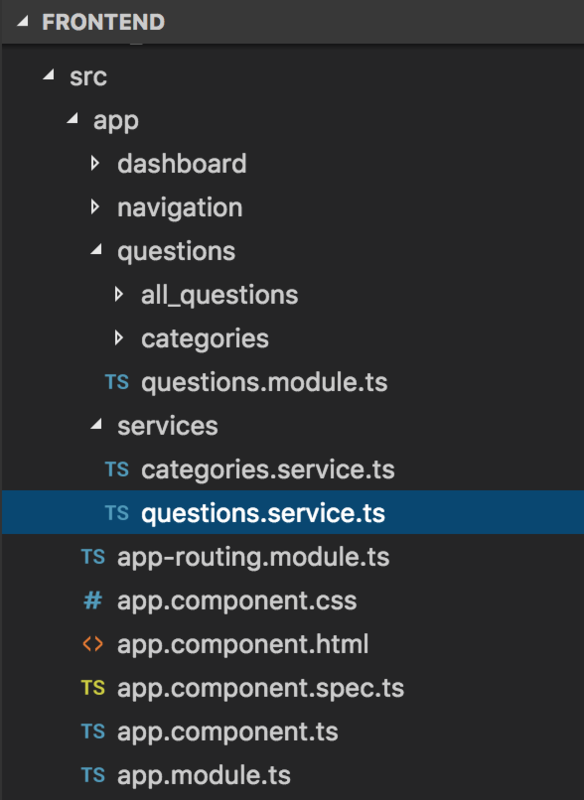 First, I will create a new QuestionService class to make call to the API to get all the questions from the API Question Service. With this declaration, outbound requests with URLs beginning with “/question” will be requested to http://localhost:8281, which is the address of the API Question Service. 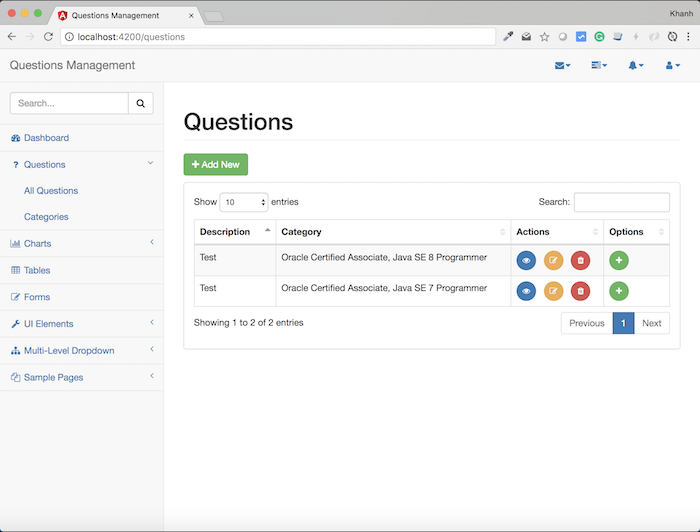 OK, now we will use the QuestionsService class to get all the questions we need, to display on the interface of the questionnaire display. OK, everything is over, now try it.